Get your low down on what's happening in the world of Telugu cinema, right here! Puri Jagannadh is a top notch director in Telugu films. His Pokiri starring Mahesh Babu was a smash blockbuster which spurred a Hindi remake Wanted starring Salman Khan. Jagan's subsequent films Bujjigadu and Golimaar too had a touch of Pokiri to them. 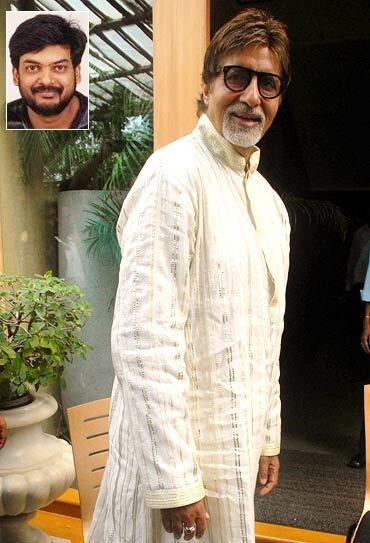 Now Jagan will be directing none other than Amitabh Bachchan in Budha (old man). The actor will be sharing space with Tabu again after Cheeni Kum. Puri will shoot Budha after he wraps up the Rana-Ileana starrer Nenu Naa Rakshasi. 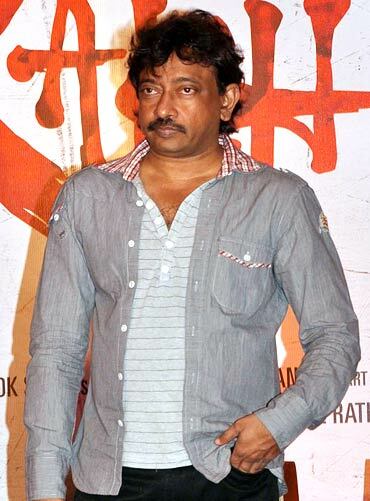 Ram Gopal Varma is aiming for a record of sorts. The filmmaker is attempting to shoot a two-hour Telugu movie, Dongala Mutha in just five days. The shoot is scheduled to begin on February 11 and is slated for release on March 11, exactly a month after shoot. The film stars Ravi Teja, Charmee, Brahmanandam, Prakash Raj, Subbaraju, Brahmaji, Ajay and Lakshmi Manchu. None of the artistes or technicians are going to be paid for making the film. They will only be entitled to a share of the profits. Film promotions (logo, trailer, audio launches) are assuming new dimensions now that producers and stars are finding new ways to promote their releases. Vishnu Manchu goes one step further when he unveiled the logo of his latest film Vastaadu Naa Raju at Prasad's IMAX theatre by climbing the walls of the theatre and then dropping down 70 feet to reveal the 60-foot tall flexi poster. Later he got down safely much to the astonishment of his fans, the film's director Hemanth and the heroine Tapsee, who had all gathered to watch him. Mumaith Khan, more popularly known for her item numbers is venturing into a new arena -- she has set up a company of her own called Sugar Candy Entertainment Private Limited. "I set it up because I wanted to do something different. I started off as a dancer, then became an item girl, then began doing character roles and then full-fledged artiste roles. I love to experience every thing. I want to do things in a sweet and simple way," she says. Mumaith wants to tap the local talent through Sugar Candy Entertainment. "Talented people wait for someone to explore them. I want to pick particular girls/boys who are creative and talented. Being multi-talented is not a curse. One should know how to use the talent. I want to pick all those people and create something different." The next thing on Mumaith's agenda is to encourage talent in making documentaries which will be sent to film festivals. "This will be a platform for good cinema where the vision of the filmmaker is genuine," she adds. Reality shows, other television productions and movies will be part of Sugar Candy Entertainment too.